This book provides an in depth and contemporary coverage of knowledge and practices in the value chain of this popular fruit, from production through to consumption. The chapters explore all the most recent developments in areas such as breeding, novel processing technologies, postharvest physiology and storage, packaging, nutritional quality and safety aspects. An outstanding team of authors from across the globe have contributed to make this the definitive pineapple handbook. 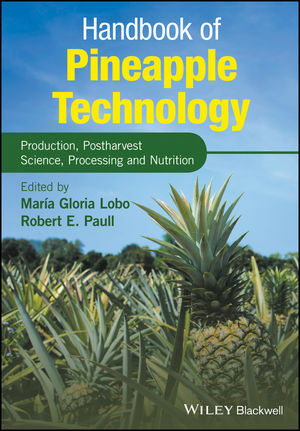 Handbook of Pineapple Technology: Production, Postharvest Science, Processing and Nutrition is the ultimate guide for scientists in the food industries specializing in fruit processing, packaging and manufacturing. It is also a useful resource for educators and students of food technology and food sciences as well as research centers and regulatory agencies around the world.